Hi. I think we already have this set up but how to we test if text to speech is working already? asterisk -rx "core show application swift"
Speak text through Swift text-to-speech engine. Swift([<Voice>^]text) Speaks the given text through the Swift TTS engine. Returns -1 on hangup or 0 otherwise. User can exit by pressing any key. Distribution: No audio distribution license was found. Saving audio to a file is disabled. 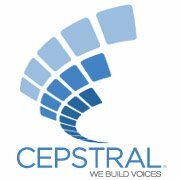 Copyright (C) 2000-20012, Cepstral LLC. To use Swift TTS engine in the Asterisk PBX, you need to setup a dialplan. Which part should I set this up? Can you please give a sample scenario? I assume you installed an Asterisk box and a Swift voice, but you don't know how to set it up. If you've never worked with Asterisk PBX before, I suggest a book to you, "Asterisk The Definitive Guide". Google it, and you can find the pdf to download. This book would be very helpful to you to set up the Asterisk box. In "sip.conf" is where you define users, and in "extersions.conf" is where you set up the dialplan. So, when a user calls in, the call would be processed according to the dialplan. In an office, there are two users, one's extension number is 1000, and the other is 2000. Above all, you need to setup the two users on two SIP phones or two softphones (a computer program). Then, you need to configure the network, firewall, etc. and you assign each user the context "in_office". So, when user 1000 calls number 2000, the Asterisk box would pickup the call, and first return the Swift voice, and then forward the call to user 2000's phone. If user 2000 picks up, they can talk; if not, after a while, the Asterisk box would hangup the call. This is the simplist example. The Asterisk PBX can do much more than that. But it's beyond our scope to assist you. However, you can always refer to that book I recommand. Last but not the least, you should be clear what you want to achieve using the Asterisk box and Swift voice, and start from there.